Beta vulgaris by swong95765, on Flickr. Used through a Creative Commons 2.0 license. People seem to fall into two categories: they either love beets, or they hate them. Ever since I was a kid, I have fallen squarely into the “love them” category. I didn’t think it was possible to improve on them. 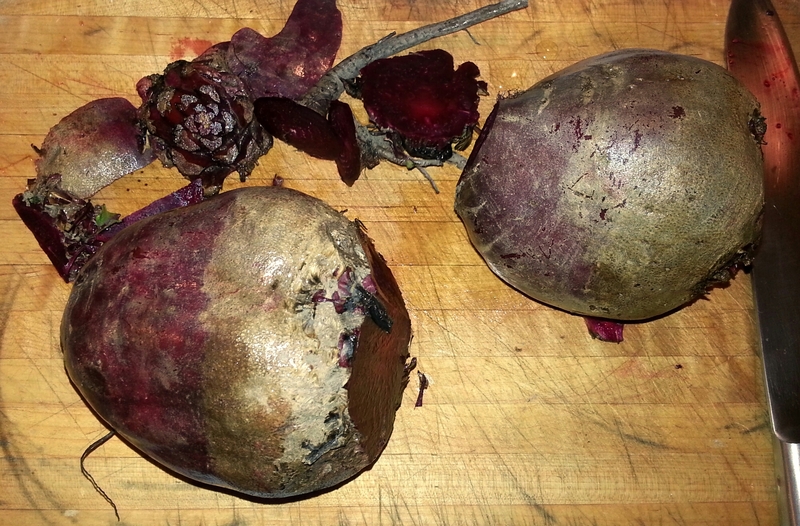 But then I discovered lacto-fermented beets and found that it was. Beets are back in season here, so it’s time to replenish my supply of sour beets. They are great in most of the same places you would use sauerkraut. But my favorite way to use fermented beets is in borscht – beet soup served hot or cold with yogurt or sour cream. So many live, active cultures in one meal! I’ll post a recipe for borscht on Sunday. 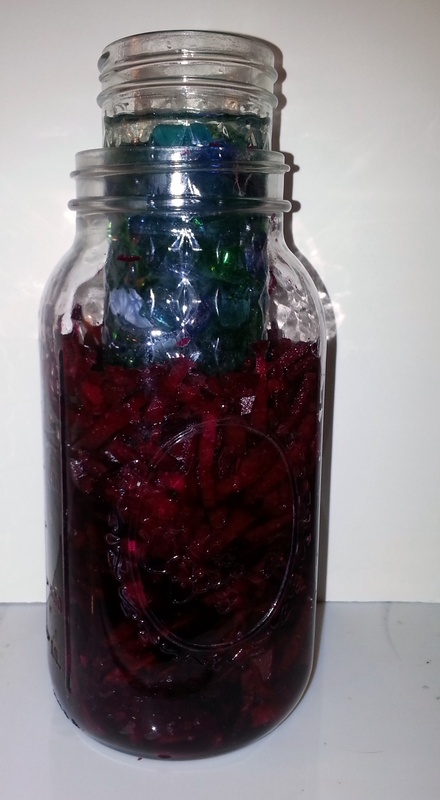 In the meantime, keep reading to learn how to ferment your beets. Don’t deviate from the amount of salt listed in the recipe. This amount of salt allows good bacteria (lactobacilli) to grow while keeping bad bacteria and yeast from spoiling your batch in check. As the beets rest, the lactobacilli naturally present in the environment grow and turn the beets slightly sour. Eating fermented beets is a great way to get more live, active cultures in your diet. Mix the beets with the salt so that the salt is evenly distributed, then put the beets into your fermentation vessel, pressing down until the beets start exuding juice. 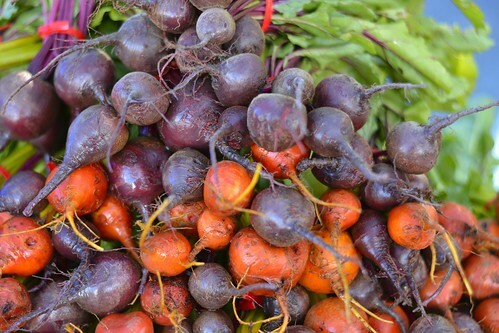 Cover and weigh the beets down with a nonreactive dish, a glass jar filled with rocks or glass beads, or a plastic bag field with a brine of 2 1/2 cups water and 1 tablespoon of pickling salt. If the beets are not covered in liquid within 24 hours, add a little brine (1 tablespoon of pickling salt in 2 1/2 cups water) until the beets are submerged. 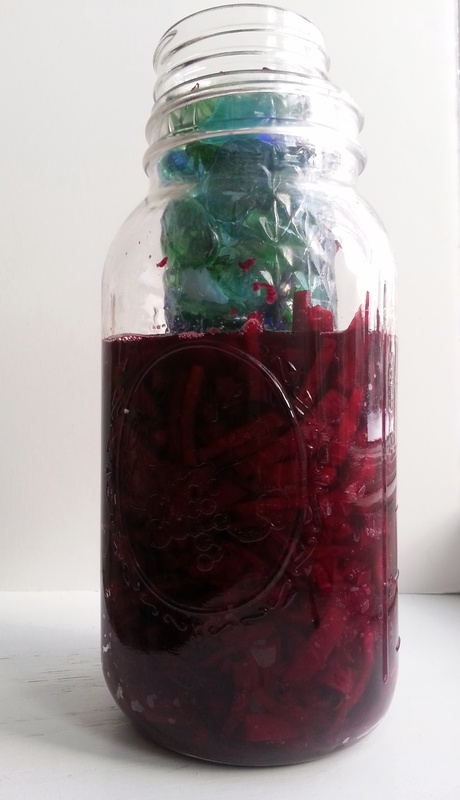 Let ferment for one to four weeks, depending on the weather and how sour you like your beets. Then refrigerate and use. 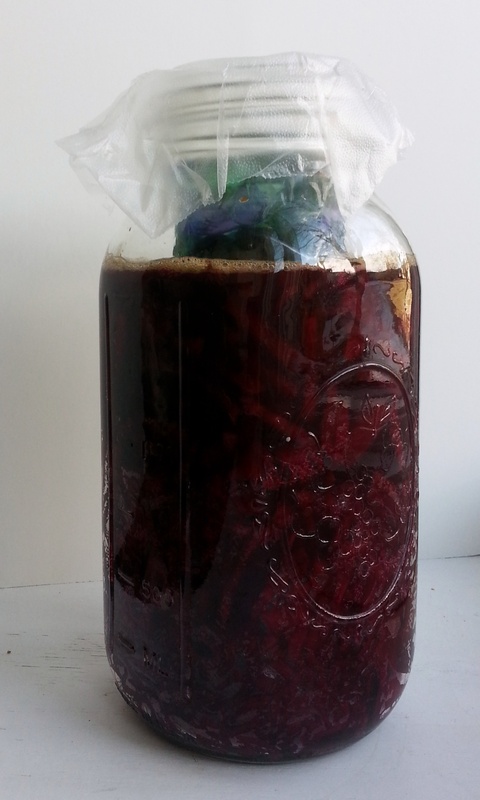 For more about fermenting vegetables, read my sauerkraut posts. Great post and it's funny you talk about people loving or hating beets - my recipe for pickled beets in apple cider vinegar is the 3rd most popular visited on my blog! I love that post! My sister and brother complained every time we were served beets growing up, but I was delighted. I think my sister's taste changed as she grew up, but not my brothers. My partner doesn't like to eat beets, wither, so I get to keep them all to myself! Thanks for the post! Fermented beetroots are amazing. 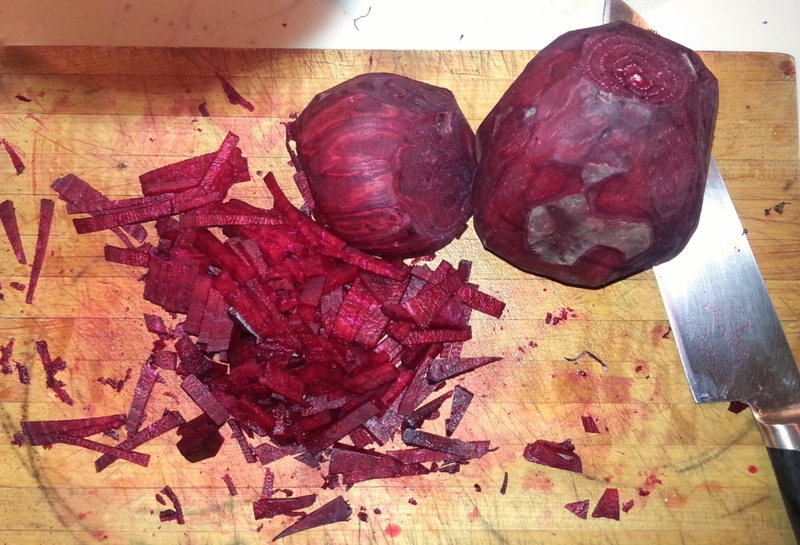 I grew up in Poland where almost everyone ferments beets at least once a year for Christmas Eve Borscht. We just love it. I have never seen anyone weighted them down as you show in your blog. It works perfectly if you just leave them in brine, unless you contaminate it with mould. If I have homemade sourdough wholemeal bread i put a piece on top. I use the jar or plastic bag method for all of my fermented vegetables, just to keep the vegetables submerged under the brine. When I don't, I tend to get yeast growing on the bits of vegetable that are exposed to the air. I know some people put a lid on the jar instead (I assume that's what you do? ), but I've had issues with exploding jars, so I don't do that anymore, ha ha. That's an interesting trick with the bread! Do you just throw it out if it gets moldy and replace with another piece? Or does it not get moldy? Thanks for the reply! Yes, I put a lid, but my mother for example never does. 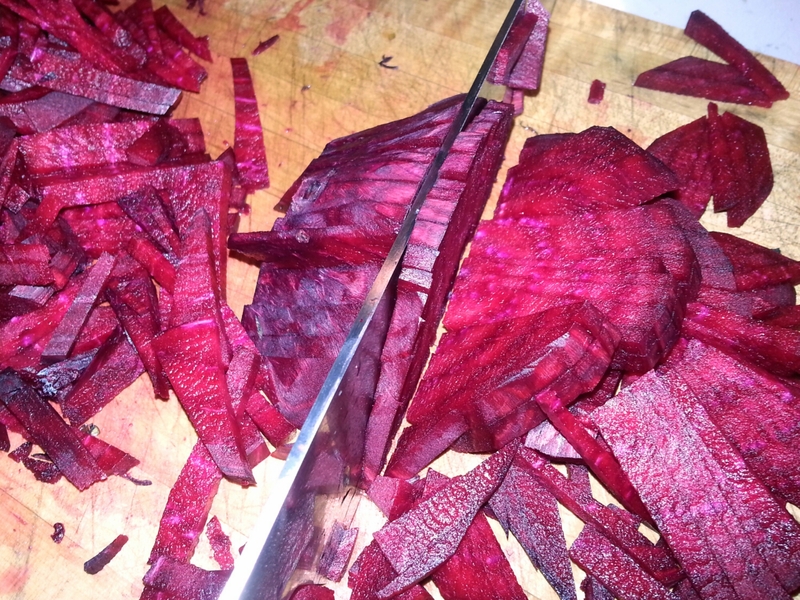 The trick is not to chop beets finely, but cut them into rather big chunks heavy enough not to float on the surface. They will be submerged in the water all the time just by the gravitation and maybe by adding water if the evaporation is intensive. I haven't have an issue with exploding jars yet probably because my apartment is always a bit chilly. I even have to boost the fermentation by placing jars next to a radiator sometimes. About the bread, I never had mould on it, but if I had, I would definitely throw out the whole jar content. I am rather afraid of it. Well, I remove the bread after about two-three days anyway, otherwise i would have crumbs floating in the juice. It is just helpful at the start the fermentation. Also, I cannot imagine beets without garlic, but that's the different story.